As soon as the Fishers land at our wharf, the Lobsters ‘R’ Us team removes the crates from the boats. 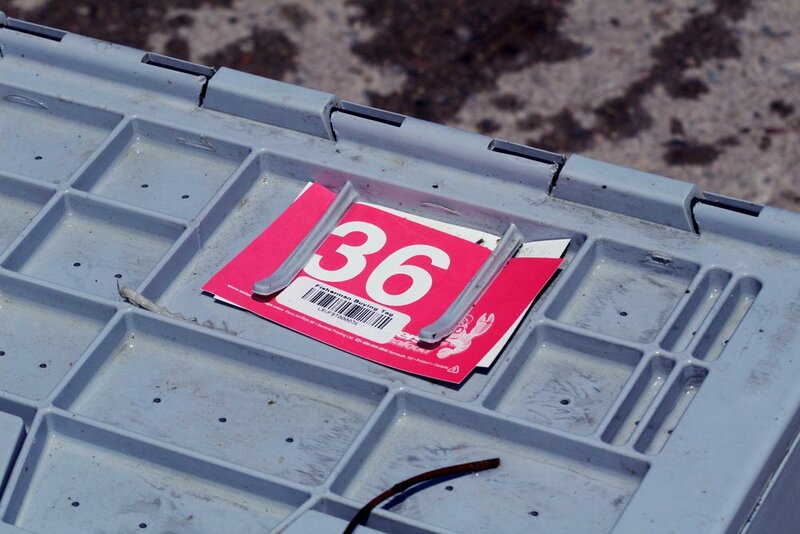 Using our automated digital scanning system, we enter data on each crate - right down to the Fisher who caught it, where it was caught and when it was caught. 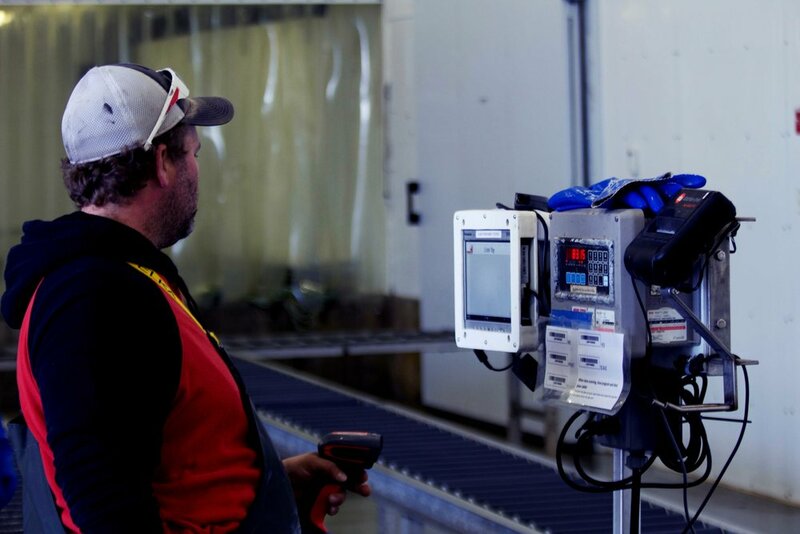 If Fishers cannot come to our plant, we quickly utilize our fleet of trucks to go to their wharves, using the same digital tracing system we use in our plant to receive, weigh, and scan the catch. 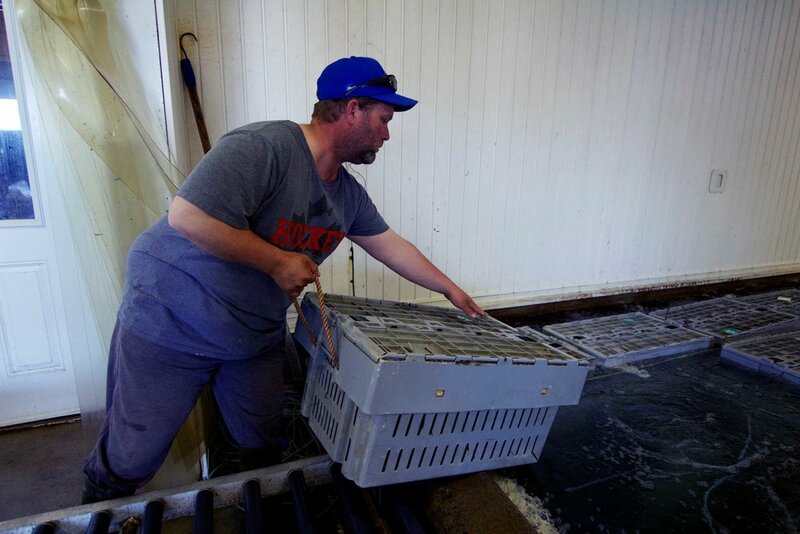 Once the crates of lobster have been tagged and scanned, they are then floated in a temporary “holding” or “purge” tank, where they will remain for a pre-determined time period, before being sorted and graded for storage. While in the purge tank, the lobsters destress as well as eliminate waste from their systems. 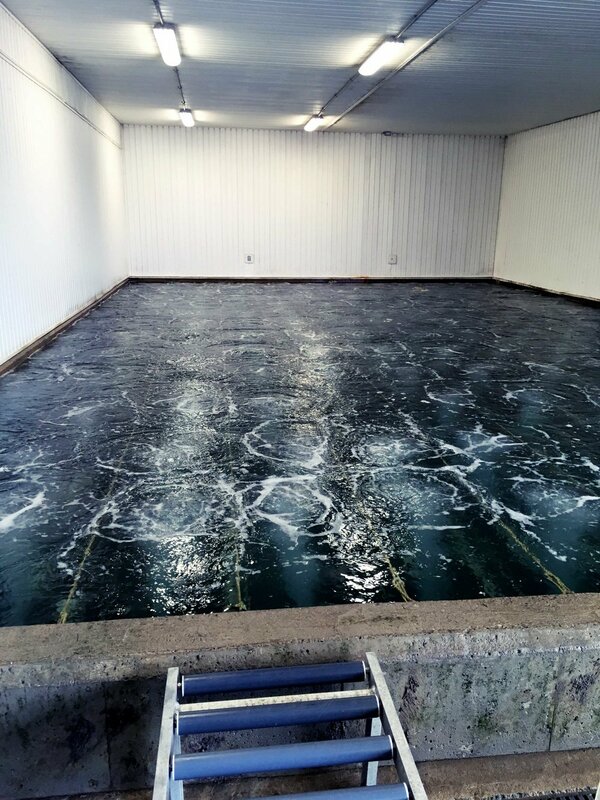 This ensures a healthier lobster and a healthier environment once they are settled into storage. Once the tagged crates of lobster are removed from the purge tank, it’s time to sort and grade them at our Grading Room Facility. Quality lobsters proceed down the line, by conveyor belt, to our grading machine which grades them by the weight of each lobster. Once weighed, each lobster goes through one of various doors according to size and storability, where it’s captured by a storage device and assigned to short, medium, or long-term storage. We choose only the healthiest lobsters to go into long term storage. The above product is placed in a tray and will go to our Quality Assurance personnel who will then log in to our database from the crate’s barcode scan, tracing it back to the Fisher. All of this information goes into a QA report that each Fisher receives weekly. This helps both Lobsters ‘R’ Us and the Fishers to remain accountable for the product and catches, respectively. 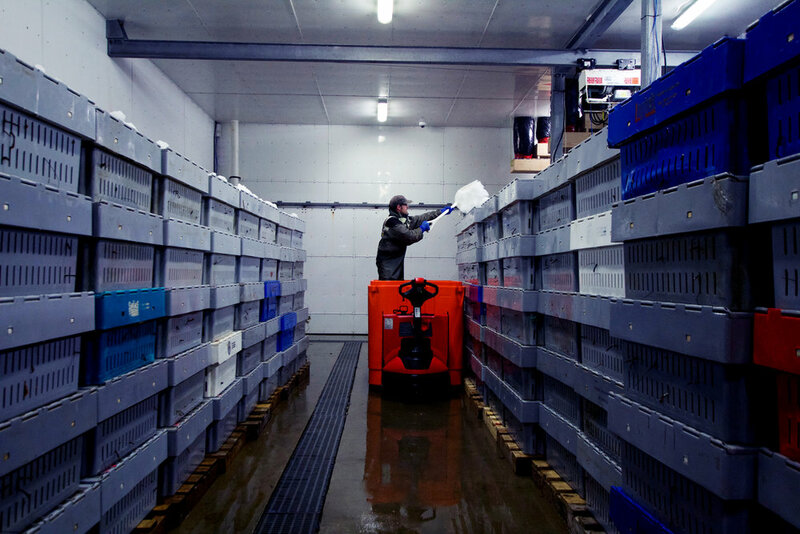 Lobsters ‘R’ Us carries out blood protein testing on selected crates of lobster to determine their health and storability. Blood protein, at optimum levels, ensures the health and hardiness of the lobster; the healthier the lobster is, the better it can be stored at our plant until its market value is at a premium. 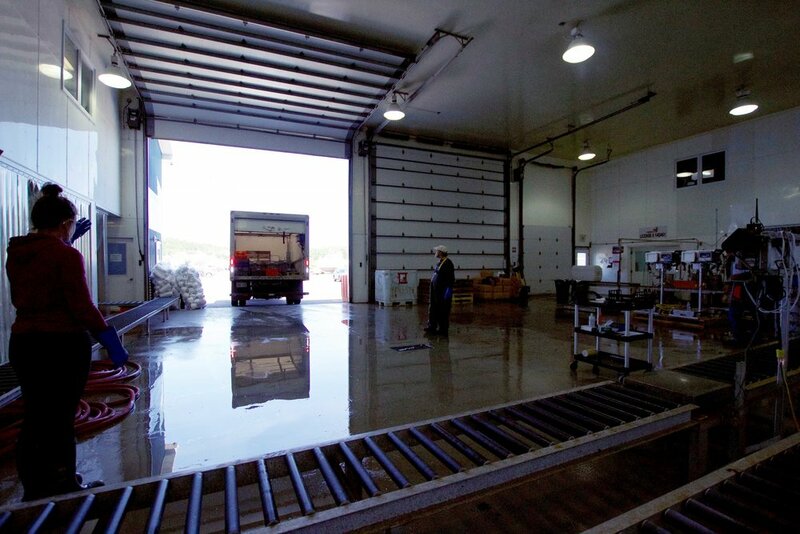 Our facility has a lobster holding capacity of 1,000,000 pounds, with a cold storage capacity of 750,000 pounds. 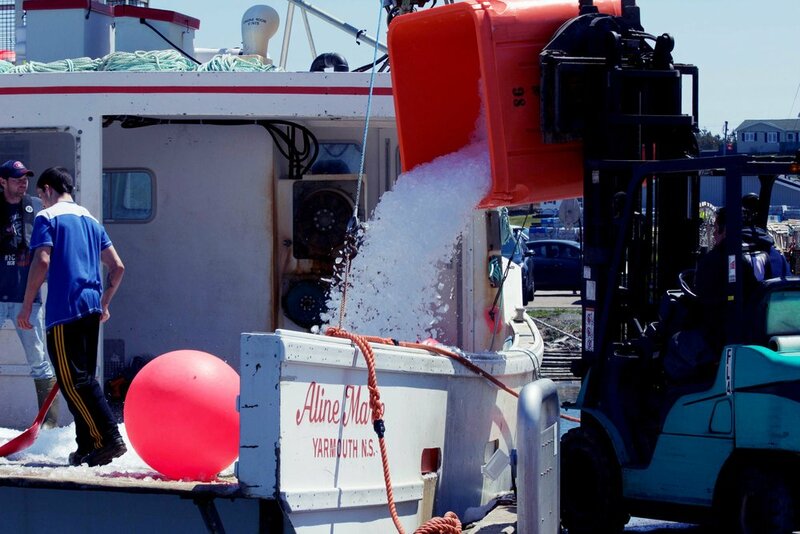 We handle an annual volume of more than 2,000,000 pounds of lobster. In addition to lobster, we have an annual volume of 3,000,000 pounds of snow crab which we ship directly to Atlantic Canada processing plants. The Lobsters 'R' Us holding facility has the capacity to store 1 million pounds of lobster in holding tanks and showers that are maintained at a constant temperature of 2°C. 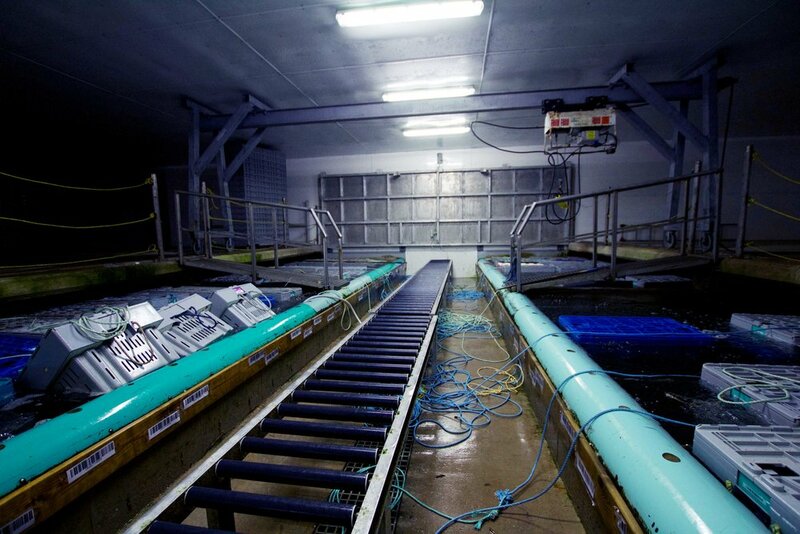 Stacked pans and submerged trays, each loaded with live lobster, receive an abundance of bio-filtered sea water, while constant maintenance and monitoring of temperature and water conditions help to keep the lobster in a dormant state which prolongs their sell-by date, giving their market value time to rise. In essence, by incorporating energy efficiency and climate control into our plant, we can create conditions that allow us to store more lobster for longer periods of time. This is the storage time of lobsters heading directly to market. These lobsters are stored in our shower system. These lobsters are stored in submerged lobster trays with individual lobster compartments. To ensure ideal storage conditions for our lobsters, we carry out lab testing twice a day, to make sure their environment is as close as possible to the environment on the bottom of the ocean. We test for temperature, dissolved oxygen, C02 and alkalinity. From our doorstep to the rest of the world…. 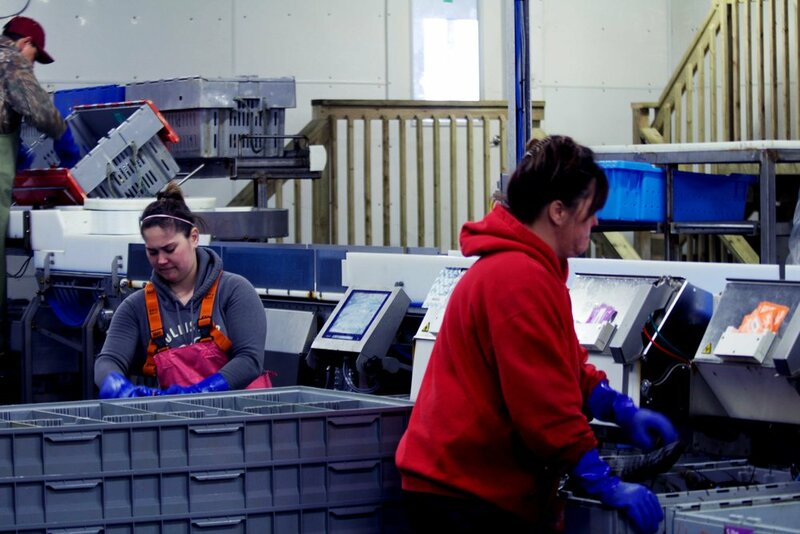 Lobsters 'R' Us is currently Atlantic Canada’s most energy efficient lobster holding facility. We are a registered modern storage plant that receives, grades and stores lobster, and ships lobster harvested by local Nova Scotia Fishers. From May until July, we purchase quality lobster from the local Fishers and are able to store the lobster at our holding facility in a dormant state until ready for market. From April until August, we purchase quality snow crab which is sold quickly to Atlantic Canada processing plants. Unlike lobster, the snow crab doesn’t store well or for a very long period of time. Storage trays and crates are scanned and barcoded so we know the status of the lobsters in terms of their health and environmental conditions during storage. 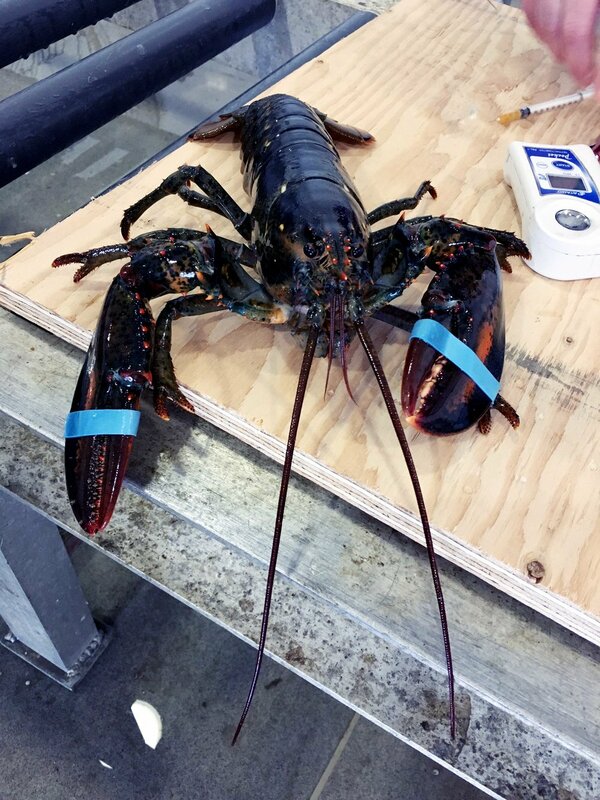 Shipments of lobster leaving our plant are also scanned and barcoded to provide a detailed shipping document that tracks the lobster as they are being transported to their final destination. When our lobsters are repacked into crates for shipment to market, the crates are once again scanned and barcoded and all the information is populated into a shipping document that is printed out for the shipper and receiver. One pallet can take up to twelve shipping crates. Adhering to warehouse inventory protocol, everything is assigned a place and a position so that we, and the receiver, will know the exact crate, the pallet that crate is sitting on, and its exact location and position in the vehicle, as it’s traveling to its destination. Even at this stage, we can still trace the product back to the Fisher, where and when it was caught, weighed, graded, sorted and stored at our plant.